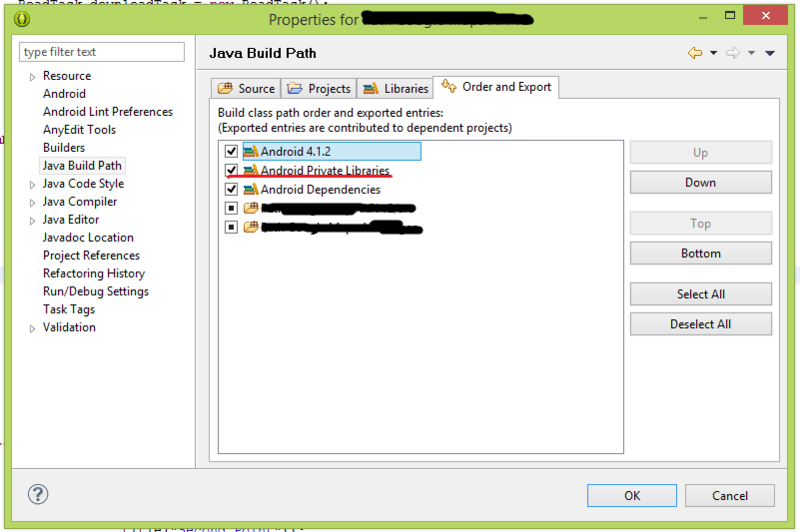 There may be a chance that Android Private Library, not exported while generating API file. 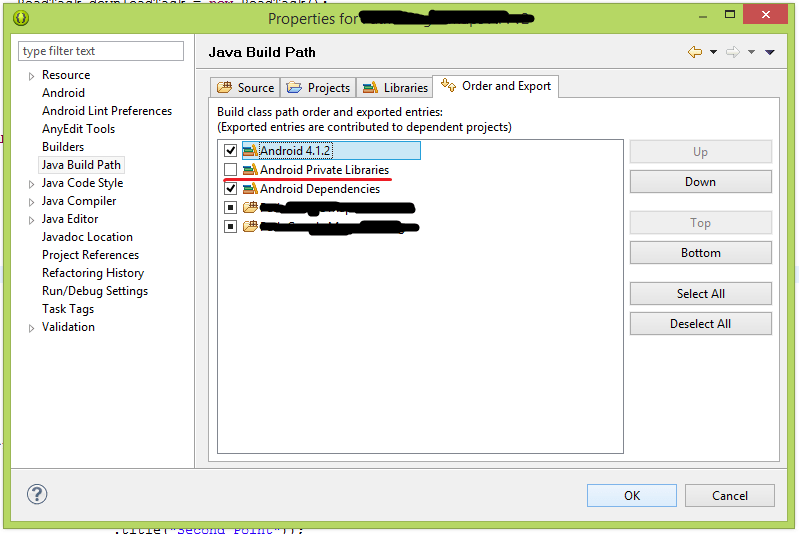 Due to Android Private Libraries is unchecked in Order and Export tab in Java build path dialog as shown below. So, just check the Android Private Libraries and Click Ok. Clean and Build the app. Fixes the issue.